Well known publisher Atari has partnered with FlowPlay to expand its business to casino gaming. The maker of arcade and console games as familiar as Pong, Combat, Yar's Revenge, and Lunar Lander has looked to a major player in the world of online casino game development in order to expand its offerings with the Atari Casino. The existing games, well known for near infinite replayability, owned by Atari will be retooled for this latest venture into the world of social gaming alongside standard casino fare like slots, poker, and blackjack. Classics such as Missile Command, Breakout, Centipede, and even Asteroids will be seeing and update for the new market thanks to the power of FlowPlay, a standout leader in the field of games technology and virtual world development. The partnership to develop the online Atari Casino venue will open up the developer to an audience of 170 million new users that weren't being reached by sticking with the console market. In order to put its games out to all of these new players, Atari is expected to release their venture on the Facebook gaming platform as well as for iOS and Android powered devices with the anticipated release date being placed in fall of 2014. Some of the initial group of gamers and gamblers who will flock to the Atari Arcade are those who know that they are getting involved with a company with a tried and true past; some will be checking it out for the novelty. Gamers young and old are attracted to the social gaming atmosphere as it offers ease of play, options for those who are under time constraints but feel the need to get in a quick round of their favourite game, or those who like a sense of accomplishment without the extremely competitive atmosphere that many online games offer. 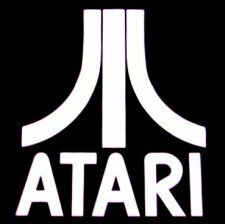 Atari CEO, Fred Chesnais, says, "Atari is an iconic brand synonymous with fun and interactive entertainment. Entering social casino gaming is a logical next step for us given its appeal across multiple generations and its natural fit with the casual audience."